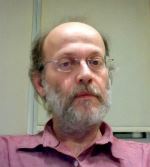 Associate Professor in Experimental High Energy Particle Physics (University of Cyprus, 2009-present). B.Sc. Physics (Aristotle University of Thessaloniki, 1987). Ph.D. High Energy Particle Physics (Harvard University, 1998). Research Scientist (I.N.F.N. Frascati 1998 – 2002). Guest Scientist (Fermi National Laboratory, 2002-2004). Assistant Professor (University of Cyprus 2004 – 2009). Research interest: Hadron collider physics. Member of the CMS and CDF Collaborations. Recent research investigates are focused on precision measurements on properties of heavy flavor quark production and their use in Higgs boson physics and signatures for physics beyond the Standard Model (Super Symmetry, Hidden Valley and Extra Dimensions). He is also active on research and development of novel techniques on hadron calorimeters for future accelerators.